Can Serrat Wishes You Happy 2018! Happy 2018 everyone! Here in Can Serrat we have celebrated the Australian New Year first, and continue with the Korean, then the Turkish, Finnish, Spanish, French, Norwegian, after the Colombian, the United States, the Mexican, the Cuban, the Canadian and we finish with the Chilean… It was a long and complete celebration. 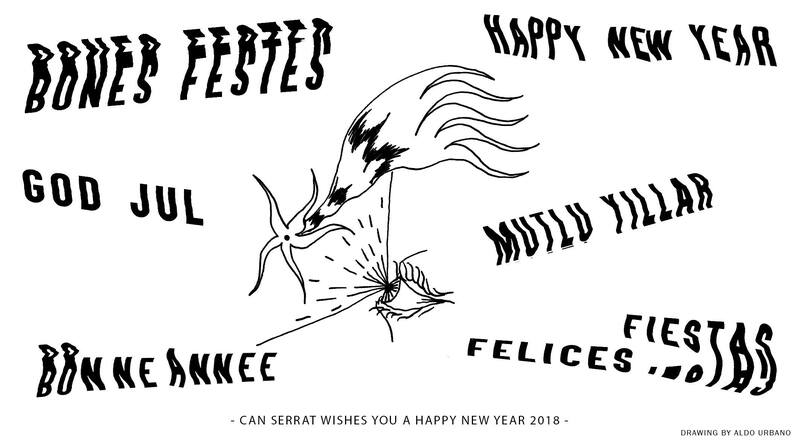 From Can Serrat, we wish you a joyful and very productive new year.